An innovative community art project has now been completed at Tunstall Square Shopping Centre after fantastic support from the community. Volunteer artists, including scouts and school groups, combined forces to design and paint art on 14 car parking spaces to make Tunstall Square a more vibrant and memorable place to shop. Come and see the creative artwork onsite on the corner of Tunstall and Doncaster Roads, Doncaster East. The project is an initiative of the Tunstall Square Traders Association, supported by Manningham Council. Tunstall Square is renowned for being one of the friendliest all-in-one shopping centres in Manningham. 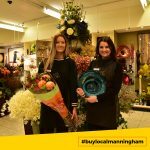 Bakers, butchers, florists, grocers, supermarkets, banks, agents, planners … you name it, you’ll find it here but it’s the many independent and speciality stores that really make Tunstall Square raise the bar for standards when it comes to shopping centres. Tunstall Square has one of the most extensive ranges of fresh produce in Melbourne with top quality independent grocers, delicatessens, bakeries, award-winning butchers and an abundance of fresh fruit and veg. In a nutshell, it’s fresh, colourful and a beautiful place to do your shopping. Tunstall Square prides itself on offering international cuisine options at affordable prices. Satisfy your cravings with a selection of Italian or Indian food. Grab your morning coffee at one of the many family owned cafes and a paper from our newsagency. “We are renowned for fresh food, fashion, finance and fun,” says Irene Goonan, the Tunstall Square centre coordinator. Tunstall Square has many hidden treasures where you can peruse the Square’s abundance of gift shops and snap up a great present for someone special or pamper yourself at the hairdressers nail and beauty salons. Professional and personal services include hairdressers, nail and beauty salons, optical services, picture framing, shoe and leather repairs, sewing, Laundromat, travel agencies and the local newsagents for all your newspaper and magazine choices. A full range of quality beef, lamb, poultry and pork at competitive prices. 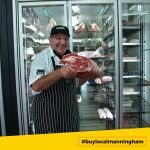 A butcher with a strong focus on good quality produce with a high level of customer service at reasonable prices. Sandwiches, salad wraps, breakfast, lunch and dinner. Freshly made, healthy and tasty. Legal services, conveyancing, wills and probate. Family law, commercial, general lawyers. Owner Harry cooks delicious charcoal grilled chicken.